The Alabama Supreme Court building in Montgomery. 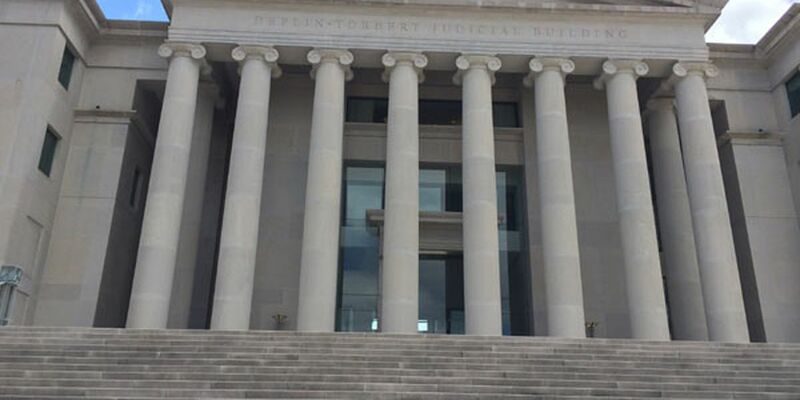 MONTGOMERY, Ala. (AP) — Alabama Chief Justice Tom Parker has appointed Rich Hobson as the administrative director of courts. Parker announced the appointment Wednesday. Hobson is returning to the post he twice held under former Chief Justice Roy Moore. Parker also had worked for Moore before joining the Alabama Supreme Court. Hobson lost his job each of the two times that Moore was removed from chief justice duties by a judicial disciplinary panel. Parker said Hobson has more than three decades of experience in the court system. Parker also called Hobson a "constitutional conservative" who will help him "keep leftist influences out of our court system." Hobson last year unsuccessfully challenged U.S. Rep. Martha Roby in the Republican congressional primary. He also managed Moore’s unsuccessful 2017 campaign for U.S. Senate.